Abstract: Solid State Lighting has seen rapid advancement over the last several years. This talk will focus on the recent history, current state, and future possibilities of Solid State Lighting (SSL). Color Kinetics is one of the leaders in the technical development of components of SSL solutions, including power, optics, color theory, and systems. Advancements in these component areas will be discussed. Recent successes in SSL will be presented, as well as future challenges. Biography: A prolific inventor and holder of 22 issued patents and numerous patent filings, Mr. Lys co-founded Color Kinetics in 1997 with fellow Carnegie Mellon University graduate George Mueller. As Chief Technology Officer, Mr. Lys was instrumental in the development of the company's Chromacore® and ChromasicT technologies, which underlie the company's lighting products. In 2002 he was named to Technology Review's TR100 list of top young innovators under the age of 35, which recognizes individuals whose innovative work in business and technology is transforming traditional industries. Prior to co-founding Color Kinetics, Mr. Lys founded and served as CEO of ILYS Software (1991-1996), where he developed and marketed TOFWARE, a mass spectrometry data acquisition package for Windows. Mr. Lys also worked as Electronics Design Technician for the Field Robotics Center, Department of Computer Science, Carnegie Mellon University (1987-1991). 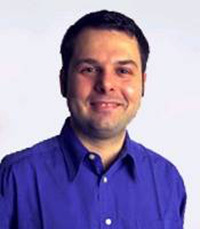 A frequent speaker at industry conferences and events, Mr. Lys received his BS, MS and PhD degrees in Electrical and Computer Engineering from Carnegie Mellon University (1987-1998). His PhD Thesis focused on low power CMOS circuit techniques based on reduced voltage swing signaling.